You guys! Can you believe we are 3 full weeks into November and Christmas is only a little over a month away!? Where does the time go!? We’re so glad you stopped by today for our Bake Craft Sew Decorate series. We are joining some of our fellow bloggers to host a month long celebration of tutorials for Christmas! Cindy will be doing sewing ideas on SkiptomyLou, while Mique from Thirty Handmade Days, will be posting craft ideas, and Leigh Anne from Homebased Mom will be posting delicious edible gift recipes so follow along all month long! Hello there! 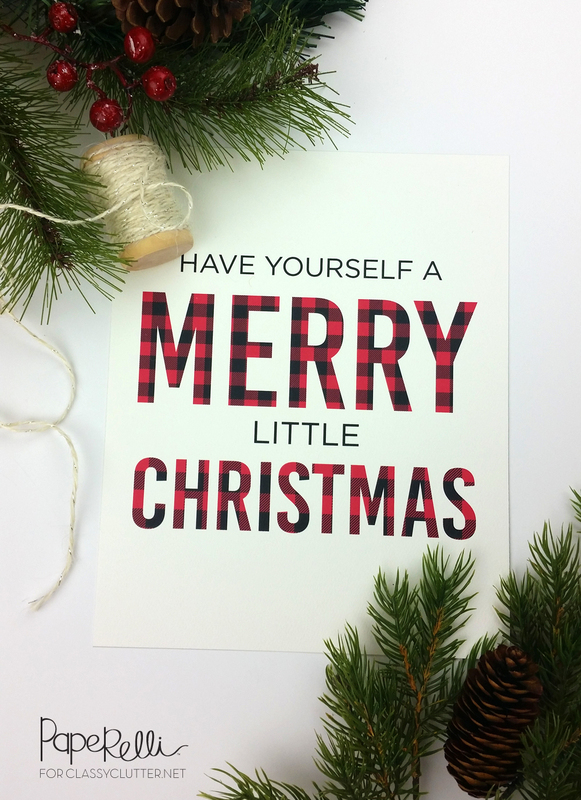 It’s Courtney from Paperelli, where I have tons of fun designing holiday cards, invitations and free printables for all of you. One thing I am loving about this Christmas season is all the plaid goodness, like this gorgeous Buffalo Check Pillow and Mallory’s Plaid Christmas Cards from last year! 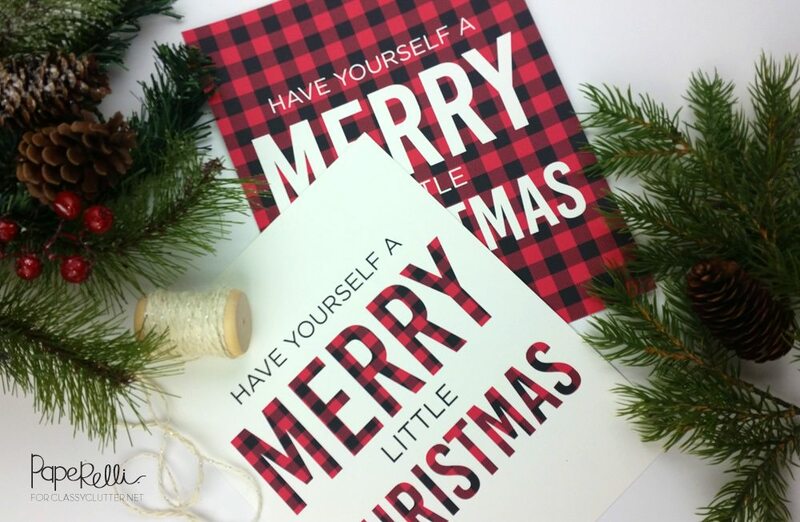 I thought it would be fun to share with you this Buffalo Check Plaid Christmas Print, with two different designs to choose from. It’s easy to do! All you need to do is download, print, trim and add to your favorite frame! Maybe a gold, black or white one? Your choice! Either way, I can’t wait to see what you do with your print. Feel free to use #paperelliprintable or tag @paperellidesigns on Instagram! Are you ready and excited for the Christmas season? 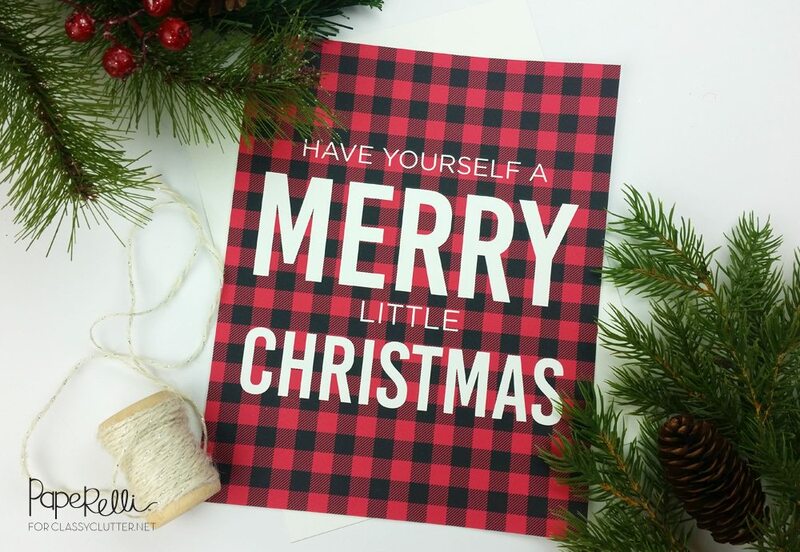 Are you adding plaids to your Christmas decor this season?What does your Christmas decor look like? Be sure to check out Paperelli’s Holiday Collection in our Etsy Shop here. Thanks so much for sharing Courtney! This is so gorgeous! Be sure to check out Paperelli on Etsy and follow along on Instagram! 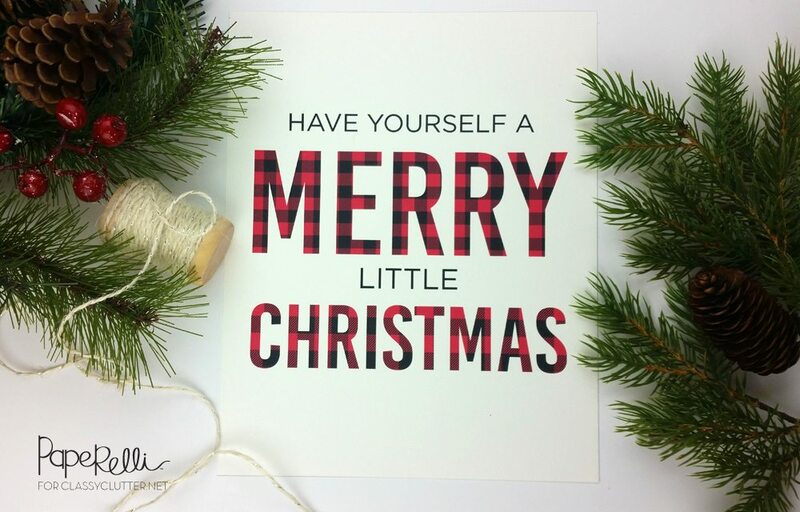 She’s got the most incredible selection of Christmas cards at fabulous prices. Thanks so much! These are adorable and will coordinate beautifully with my holiday décor this year!